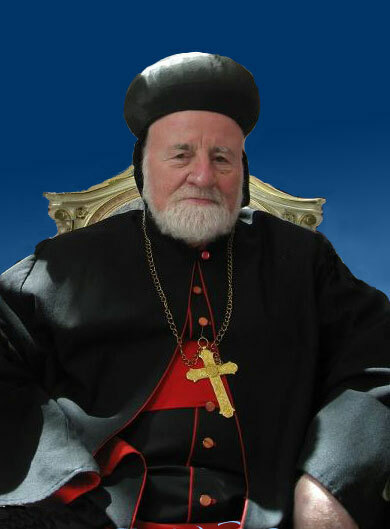 His Eminence Mor Severius Ishak Zakka (80), the Metropolitan for St. Aphrem Seminary and In Charge for the Higher Studies & Research in Syriac and Former Metropolitan (Dayaroyo) for Mor Mathai Dayaro, Mosul, Iraq, passed away at a hospital in Bhkkadidha, Qarakhosh on Monday December 19th, 2011. His Eminence was admitted to the hospital due to prolonged illness. His Holiness Patriarch Moran Mor Ignatius Zakka I Iwas led a special prayer which was held at Patriarchal Monastery in Damascus. Metropolitans Mor Philoxenos Matthiyas, Mor Dionysius Yuhanon, Very Rev. Rabban Mathews Karimpanakkal, Priests, Nuns and faithful participated. The mortal remains will be transferred to His Eminences's Home town Barthallah, near to Mosul, Iraq today. His Eminence Archbishop Mor Gregorios Yuhanna Ibrahim of Aleppo on behalf of His Holiness, Hon. Secretary for Holy Episcopal Synod Archbishop Mor Theophilos George Saliba of Lebanon, Mor Osthatheos Matta Rohum of Euphrates & Jazirah, Mor Nicodemos Dawood, Mor Philoxenos Matthiyas Nayis and other metropolitans will lead prayers. The funeral will be held at Mor Mathai Dayaro, Mosul, where Mor Severius Zakka served for a long period as Dayaroyo. All the suryoye metropolitans of Universal Syriac Orthodox Church will attend. A representative of Syriac Orthodox Church in India will attend the funeral which will be held at Mor Mathai Dayaro. He was the Metropolitan for the St. Aphrem Seminary and In Charge for the Higher Studies & Research in Syriac and Former Metropolitan (Dayaroyo) for Mor Mathai Dayaro, Mosul, Iraq,and for a short period He served as the secretary for His Holiness Patriarch Moran Mor Ignatius Zakka I Iwas. May His prayers be with us all.